(NETWORK INDIANA ) House Bill 1003 requests that a school district that gets state money in the next state budget transfer no more than 15-percent of that money to its operation to fund, with the remainder going towards teacher salaries. The bill stops short of requiring schools do it that way. 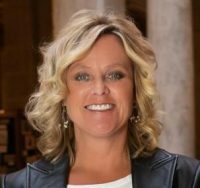 State Superintendent Jennifer McCormick (R) has a hard time supporting the bill. McCormink said some school districts are going to have a hard time hitting that 15-percent mark with the remaining 85 going toward raises for teachers. She said some districts are up against circuit breaker or property tax caps, which means they are getting less money on the local level and rely on state funds to make up for that deficit. An amendment pushed by State Rep. Ed Delaney requiring schools to start new teachers at a base salary of $40,000 a year failed in the Indiana House over the weekend.